UK: The Forewind consortium has submitted its application to the Planning Inspectorate for the first phase of development of a 2.4GW offshore wind farm at Dogger Bank Creyke Beck, off England's Yorkshire coast. 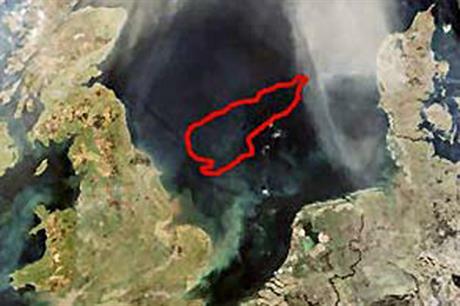 The first phase of development of the Dogger Bank Round 3 zone would comprise two 1.2GW offshore wind farms in the North Sea – Dogger Bank Creyke Beck A and B at 515 and 599 square kilometres respectively, 131 kilometres from shore. Formed in 2008, the Forewind consortium's partners are German electric company RWE, Scottish utility SSE, and Norwegian companies Statoil and Statkraft. Forewind is ultimately aiming for an installed capacity of up to 9GW at the Dogger Bank zone. It would range from 125 to 290 kilometres off the East Yorkshire coast and extend over approximately 8,660 square kilometres. The first phase, which is expected to go online by 2019, is slated to use Siemens next-generation offshore turbines.